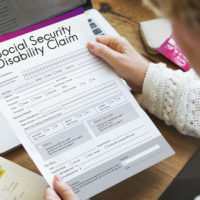 In order to receive Social Security Disability benefits (SSD) or Supplemental Security Income (SSI), you must show that your condition will last more than 12 months and that the disability keeps you from performing Substantial Gainful Activity (SGA). One of the measurements for SGA is monthly income. If you are regularly earning more than $1,170 per month, or are earning more than $1,950 and are blind, you will not be eligible for SSD in 2017. Another criterion in proving that you cannot engage in Substantial Gainful Activity is medical proof, or the medical opinion, from your treating physician that you cannot or are severly limited in your capacity to sustain work. According to the Social Security Administration, “Your impairment must result from anatomical, physiological, or psychological abnormalities which are demonstrable by medically acceptable clinical and laboratory diagnostic techniques.” Your treating physician is usually the best and most qualified medical practitioner upon whom the SSA may rely in making a favorable decision. Any additional factors that you or others bring to the attention of the SSA. If you have become disabled and are no longer able to perform Substantial Gainful Activities, you may qualify for Social Security Disability. In order to obtain this financial benefit, do not hesitate to reach out to us today. Call one of our experienced West Palm Beach Social Security Disability attorneys today at the Celeste Law Firm.